The Cat in the Hat has just received a special invitation! He and Sally and Nick have been invited to Mervin the Crab's Crab Christmas Ball on Christmas Island. But soon after the Thinga-ma-jigger lands on the island, chaos ensues when Crab Nine (aka Sandy) goes missing. "Is Sandy lost or injured?" Will the ball go on as "planned?" Only readers of the book will find out! 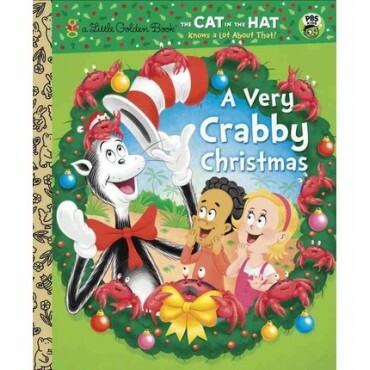 Loosly adapted from the one-hour prime-time PBS Kids special--"The Cat in the Hat Knows a Lot About Christmas!" --this $3.99 Little Golden Book arrives just in time for the holidays and makes a perfect gift.